All of the latest Renault F1 News. 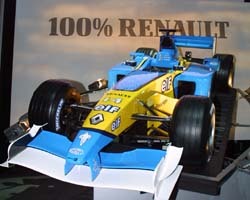 This page is for all the latest news about Renault Formula One. It will be updated regularly. Renault has signed Jenson Button, and Jarno Trulli for the 2002 grand prix season. The test driver will be Fernando Alonso. Renault will make the engine and chassis, and Michelin will make the tires. Renault's fifth race of 2002, the Austrian Grand Prix, was a decent race for Renault. The race began with a clean start. Jenson slowly worked his way up into seventh, where he finished. Jarno retired twenty seven laps from the end. Michael Schumacher won the race, Rubens Barrichello finished second, and Juan Pablo Montoya finished third. Renault are currently tied for fourth in the Formula One Constructor's Championship, and Jenson Button is sixth in the Formula One Driver's Championship. Renault first entered Formula One in nineteen seventy seven. 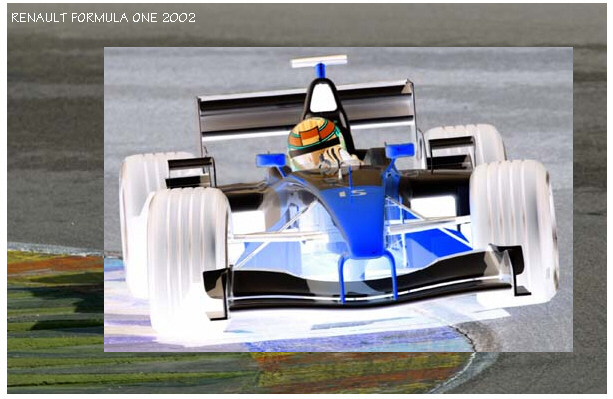 This is the provisional schedule for the 2002 Formula One season.